Panasonic is the brand when it comes to associating value for money products in the consumer business world of today. It is always one of the first few companies in the consumer electronics market that people with not-so-deep pockets look out for. 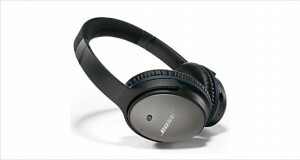 Philips and Panasonic are usually spoken of in the same breath when it comes to headphones. 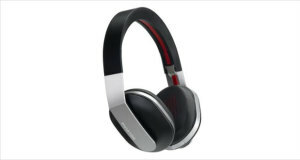 But does Panasonic make the best noise cancelling headphones in the low end segment? We are not entirely sure about the noise cancelling part, but the Panasonic RP-HTX7 Headphones are certainly one of the best over ear headphones in the below $50 segment. The retro styling and rugged design of these cans ensure that you would be noticed in the subway or on the streets. 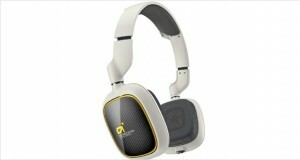 The cans are quite lightweight and have some comforting design elements that allow you to listen to them for long hours. Performance-wise these are quite great with gentle mids, deep bass and a slightly brash high range frequency response. 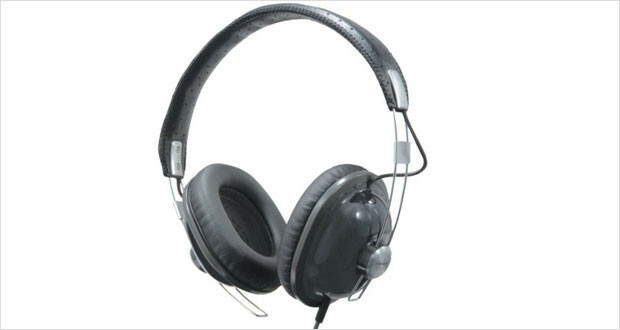 Read on to find out more about this great pair of headphones that come for super cheap! With an old school perforated leather headband, bulging and generous ear cups, the RP-HTX7s are sure to turn a few heads in your direction with their retro-cool design and desaturated color choices. The tough dome exterior stops a lot of damage from occurring and the gold plated connector allows for more vibrant listening with lesser crackles. Dimensions3.6 x 7.4 x 9.3"
The build quality is quite good with hard plastic exteriors to the ear cups and a leather perforated headband that is quite durable. These are a pair of headphones that look and feel great. Weighing in at just 5.4 ounces, the cans rest like feathers upon your head and once the music starts playing these blend in to your background. While over-ears are generally not very comfortable in hotter climates, for those in the cooler climes, these are great cans. Very clear highs that are not too screechy in all but the highest volume settings where a bit of crackle settles in. They are a tad bit bright so you might want to decrease the treble in your EQ settings. Well balanced mids allow for great listening experience with a full soundstage. Thumping bass is not what you would get with a pair of under $50 headphones, but these do perform adequately well enough to come up with deep lows that you do feel. The acoustic seal is quite well made and blocks most noise leakage without much concern. Of course these are not the ‘phones you would like to use on airplanes, but for the price it is quite a good bargain. The performance is quite admirable for the price point. For a mere $40 you can own a fabulously stylish looking pair of headphones that are durable, have great sound and are lightweight to boot. If that does not sound like it’s out of this world, I do not know what would. While the Audio-Technica ATH-M30s give the Panasonic RP-HTX7 Headphones pair a run for the money, they are a little more expensive and a lot heavier. For those with shallow pockets and an ear for comfort and good music, these are the pair of headphones to buy.